Sensory Processing Disorder (SPD), also called Sensory Integration Dysfunction, is a disorder in which the brain cannot properly integrate multisensory input. Sensory Processing Disorder affects everyday functioning because children with SPD are highly affected by their sensory preferences. When the brain has trouble processing the auditory, visual, and sensory information it receives, a child’s ability to learn and thrive can be hindered. This can often lead to low self-esteem and social issues, which can impact a child’s personal and academic success. Sensory Processing Disorder can cause children to be very particular about their likes and dislikes. Children affected by hypersensitivity, may have an extreme or even fearful response to specific sounds, tastes and textures. Children affected by hyposensitivity may show signs by touching people and/or objects in an inappropriate manner, be fidgety, and are often characterized as “thrill seekers”, and can put themselves in dangerous scenarios due to their under-reaction to pain. The Brain Balance Achievement Center of Carmel is a an integrated approach to SPD help. At Brain Balance, we believe that the most effective strategy for helping your child overcome Sensory Processing Disorder is by finding the root of the issue. If you have a child with a Processing Disorder, Brain Balance Achievement Center of Carmel can help to develop a customized plan just for them. Enroll your child in Carmel’s Brain Balance Program for the best help for your child. Whenever a child is enrolled in our program, we first give them a personalized assessment. The assessment allows us to see your child’s strengths and weaknesses in different areas of function: motor, sensory, behavioral, social, emotional, and academic. To learn more about how Brain Balance Center Achievement Center of Carmel can help children with Sensory Processing Disorders overcome their challenges to get back on track, please call 317-843-9200 today. 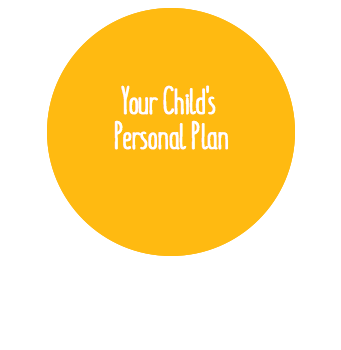 We’d be happy to schedule a personalized assessment for your child!